Since 2010, thousands of people have enthusiastically participated in the Surrender Fast with supernatural results: a closer walk with God, successful transition to their next season, financial blessings, restored relationships, deliverance from strongholds, and so much more! The Surrender Fast is not your typical fast, in that you abstain from WHATEVER is keeping you from having a deeper, more abiding relationship with God. Want to experience God in a new way? 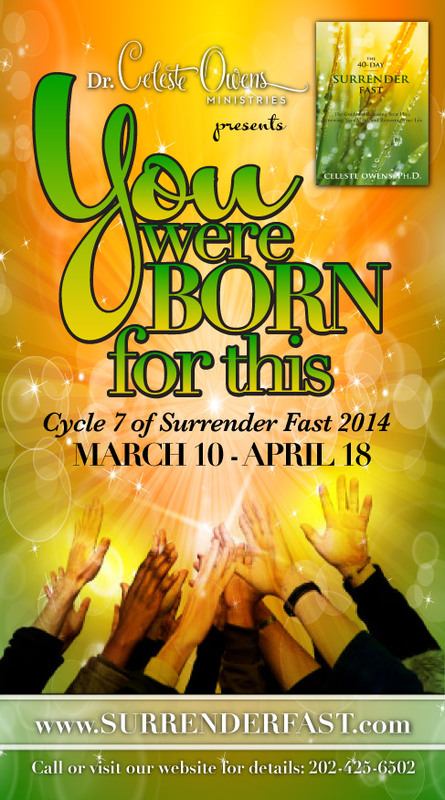 Join us for Cycle 7 starting March 10. Churches, organizations, small groups, and families are encouraged to take this journey together! Purchase The 40-Day Surrender Fast in Bulk and save!! !